Breathe in. Breathe out. Prepare to be lead into the most beautiful melody of your prayer life as you pray under the direction of the conductor. You have been invited to ‘Father, Hear My Prayers’ symphony orchestra where the most important person in an orchestra is the conductor. The one who ‘s purpose is to lead the melodies of the instrument, and does not play any instrument at all. Their job, at its most basic level, is to indicate the beat of the music. With each movement of the baton, the conductor is instructing with imaginary points that indicate the beat in the bar the orchestra is playing. Relate this to prayer. Jesus is the most important person during your conversation. When your heartbeat begins to line up with His heartbeat, you will find yourself praying what He is praying. “Thy kingdom come, thy will be done….” You find that when you pray under His direction you are focused on His thoughts, His will, and find that your thoughts are no longer as important as before. Your mind is now focused on Jesus. So often people will ask, ‘How shall I pray’? The conductor will prepare you. The conductor’s role in the orchestra is being responsible for the preparation, the rehearsal, and for making interpretative decisions, such as whether a certain passage should be slow, fast, soft, loud, smooth, aggressive, and so forth. He will speak to you boldly, compassionately, through a whisper, and will instruct you to be obedient. Through the reading of His Word, you will know to wait patiently, move swiftly, to be still, and so on. 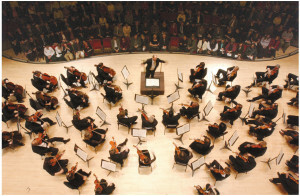 A conductor of an orchestra communicates their decisions both verbally during the rehearsal and during the performance, using different movements, gestures, and expressions. During prayer, you will know what Jesus is communicating with you because you have spent time with Him. Think only about the symphony. There are usually four movements to a symphony. With a typical symphony, the first movement is a fairly fast movement, weighty in content and feeling. The second movement of a symphony will be slow and solemn in character. As we pray, we may find the second time around to be quieter, slower. The pounding of the heart slows down. There’s room for silence—you may no longer be in a hurry. You have decided to take your time and watch and pray. The third movement of a symphony can be interchanged with the second movement. When we pray, we may find ourselves in a hurry in the beginning but, later, get with God and slow down because we are finally resting in His arms. The fourth movement in a symphony creates the finale. The finale is made up of a variation. A variation movement consists of a theme, usually made up of four or eight-bar phrases in which the theme is elaborated, developed, and transformed. Although a symphony may seem difficult in our natural hearing, it’s easy to those who are a part of the orchestra. You are in the orchestra. The orchestra of ‘Father, Hear Our Prayers.’ With Christ, we may think this journey of prayer and worship is difficult, but it’s a beautiful journey once we line up with Christ as the focus of our time in intercession and prayer with Him. Lord, you are my symphony. We surrender as we flow in the presence of the Holy Spirit. 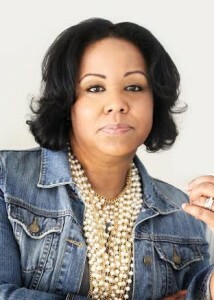 God has placed upon Gail’s life will touch you as you experience her heart and her spirit filled life-changing messages.